The Edinburgh Dungeon is scary fun for everyone except very young guests and wimps! 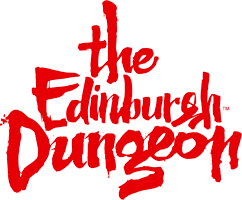 We recommend The Edinburgh Dungeon for children aged 8 and over, however entry is always at the discretion of the parent/guardian. Please be aware that children 5 years old and under will not be admitted. Children (5-15 years) must be accompanied by an adult (16 and over) at all times. It does get very dark inside and there are lots of loud noises. Please be aware if you need to leave the attraction during a tour, unfortunately your ticket will be non-refundable. When is the quietest time to visit The Edinburgh Dungeon?